Chanted by both Patriarchal choirs under the direction of B. Nikolaides and B. Emmanuelides. Holy Patriarchal Church of St George - Phanar. 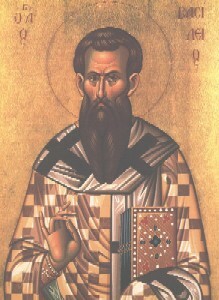 Chanted by Basil Nikolaides, Archon Archcantor of the Great Church of Christ. Chanted by Basil Emmanuelides, Archon Lambadarios of the Great Church of Christ. Chanted by Thrasyvoulos Stanitsas, Archon Archcantor of the Great Church of Christ. The first is chanted by Thrasyvoulos Stanitsas, Archon Archcantor of the Great Church of Christ. Reading by the ever-blessed Ecumenical Patriarch Dimitrios I. Slow music of Iakobos Protopsaltes. Chanted by Basil Emmanuelides, Archon Lambadarios of the Great Church of Christ, while the right choir sings «Εἰς πολλὰ ἔτη...» to his All Holiness the Patriarch.